Catholic Diptych - La Vierge au Lys / The Guardian Angel [KS-307] - $49.99 : Bless Our Faith Gifts Inc., Spreading the word of God with gifts. 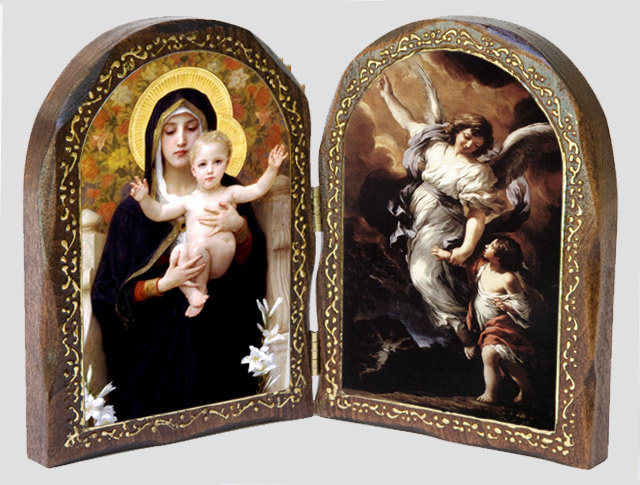 Catholic Wood Diptych -La Vierge au Lys and the Guardian Angel - measures 7" x 8.5" when open. Exquisite gold border on this piece of Catholic Artwork.